Summer is nearly here, and so is Ibiza’s island debauchery. We are providing an overview of what is going on on the island. While particular events and lineups are yet to be announced, those such as the infamous ‘Paradise’ by Jamie Jones but most of the summer program is set, so we will keep you updated. Take a look at our weekly Ibiza schedule and you know where you have to go, or what you’re missing out on. Sven Väth and Cocoon Ibiza will be back for the 17th edition. The family is soon to gather on the 30th May with the colossal Cocoon Opening Party. 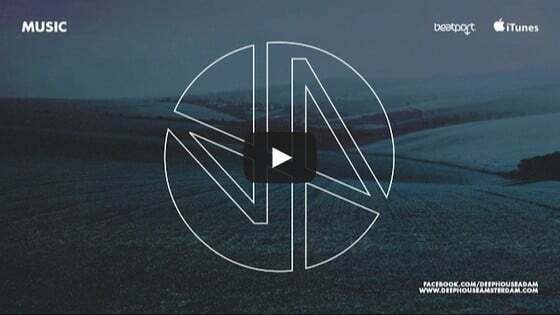 You can expect top mixing from DJs such as Ame, Ben Klock, Ben UFO, Dixon, Joris Voorn, Nina Kraviz, Ricardo Villalobos, Richie Hawtin, Roman Flügel, Seth Troxler, Solomun, and many more. Circo Loco stands for DC-10 as much as maybe no other party stands for a club in Ibiza. You shouldn’t expect big laser shows, exotic dancers or anything like this when you don’t know about Circo Loco yet. It is just about the music. Year by year the best underground Techno DJ’s are performing and they will be taking care of the world famous after hour session vibe, DC-10 is known for. The line up is usually announced the week before but the opening party already shows what will be going on this year, again. Just to name a few: Jamie Jones, Tale Of Us, Apollonia, Davide Squillace, Matthias Tanzmann, Kerri Chandler and Jackmaster. I guess this is as good as an opening party line up can be. Following months of island rumours and speculation, Ibiza Rocks House and Secret Life are proud to announce that this summer at Ibiza Rocks House the legendary DJ Harvey is Mercury Rising. As part of this exclusive residency DJ Harvey will play all night long every Monday at Ibiza Rocks House at Pikes from July 13th to August 17th. 12 sessions, two rooms, 3D mapping, nearly 50 acts including the best names of the genre, names that aren’t seen as much in the Ibiza club scene, supporting live acts, never seen before back-to-backs and exclusive acts for Ibiza. The Redlight looks set for a second sizzling season, after it took the island by storm on it’s debut in 2015. The weekly party, kicks off on Monday 30th May 2016, and runs for 18 consecutive dates with the God Father of UK Garage Matt Jam Lamont at the forefront of the night, the man who holds The Redlight together. It’s the final frontier for Mr. Cox in Ibiza. Celebrating the longest season yet, the 15th edition will run for 15 weeks with one week for every year of his Ibiza journey. He’ll be bringing beside him many names such as Francois K, Danny Tenaglia, John Digweed, Sasha, Fatboy Slim, Josh Wink and Jon Rundell, Pan-Pot, Marco Carola, Joseph Capriati, Loco Dice, Nina Kraviz, Monika Kruse, and many more. To infinity and beyond. Joining the Ellum boss for his first Ibiza residency on Tuesdays at the famed club will be the likes of Adam Beyer, Barnt, Bicep, Radio Slave, Scuba, Paranoid London, John Talabot, Damian Lazarus, Lord Of The Isles, Maya Jane Coles, Michael Mayer, Agoria, Steffi, Patrice Scott, Axel Boman, DJ Koze, DJ Tennis, Jennifer Cardini, Dekmantel Soundsystem, Kölsch, Daniel Avery, Conforce, Matrixxman, Agents Of Time, Voiski, Len Faki, XDB, Pearson Sound, Gold Panda, Kiasmos and Fatima Yamaha. Across five exclusive Tuesdays, we’ll be hanging out with tINI and the gang on Playa d’en Bossa’s beachfront at Lips Reartes, and after the sun’s taken a dip beyond the horizon, we’ll be partying on at Ibiza Underground. tINI’s pack this year includes Alex Kid, Bella Sarris, Bill Patrick, Franco Cinelli, Funk E, Julian Perez, Oskar Offermann and Yaya, with many more on the bill. With summer residents that include Ibiza icon, legend and pioneer Alfredo plus Matthew Benjamin AKA Bushwacka, who was there at the beginning of the rave and acid house explosion in the UK. These artists know exactly how to rekindle that spirit for a modern audience. Joining both Alfredo and Bushwacka this term at Sankeys Ibiza will be Danny Rampling & Nicky Holloway, both of whom kick started the British Acid House Revolution after a trip to Ibiza in 1987. Also bringing back the Balearic beat will be Graeme Park, Colin Dale, Robert Owens, Mr C, Todd Terry, Fabio & Grooverider, 808 State plus many more from the original Acid House era. Following it’s debut in 2015, global event series HYTE returns to the dancefloors of one of the world’s greatest clubs, Amnesia Ibiza. Once again a family of residents will be calling HYTE their home this season; Loco Dice builds on the unstoppable momentum of his 2015 return to the terrace and Chris Liebing will firmly cement his status as Amnesia’s techno kingpin. Pan-Pot will be proving once again why they are a force to be reckoned with, and Mar-T, Cuartero and Caleb Calloway, will be bringing more of the electric energy that we’ve come to expect from them in the last few years. Returning to the white isle for their 5th consecutive year, Jamie Jones’ Paradise will be back at DC-10 this summer. With this year’s theme titled ‘Virtual Trip’, partygoers can revel in an extended 15-week residency, every Wednesday throughout the Ibiza season. Pushing the boundaries with the most extensive Paradise line up to date, Jamie invites an eclectic mix of globally renowned artists to bring his ‘Virtual Trip’ to life. This summer they welcome back their core Paradise family; Richy Ahmed, Patrick Topping, wAFF, Robert James, Mark Jenkyns as well as new delegates Nathan Barato & Jey Kurmis. Crafting a line-up that brings together alluring soundscapes from both out of the booth and live from the stage, the Tale of Us will be joined by a collective that’s weaved from every ethereal and ambient thread. With each event of the 13-week residency derived from the palette with which Tale Of Us summon their own spellbinding sound, Afterlife seeks to entrance and enrapture Space Ibiza in its closing year – a parting gift to its historical legacy. Luciano & Friends will host 4 fabulous Thursdays at Destino, 21 July, 4 & 18 August, 7 October. The first of the weekly events takes place on June 9th and through to September 1st. In between those dates, international tastemakers and underground stars from Boddika to Reboot, Subb-An to Dense & Pika, Dungeon Meat to Robert Dietz to Anja Schneider will all line up with a team of residents and a couple of top secret guests and special back to back sets. From Thursday 12th May through to Thursday 13th October, Unusual Suspects takes up its summer residency for a massive 22 weeks. The club will play host to some of the biggest names in the world of techno. Starting in November 2015 the night was born, and with the main resident of Detroit Love, Carl Craig at the helm it quickly a must-go event on Ibiza. 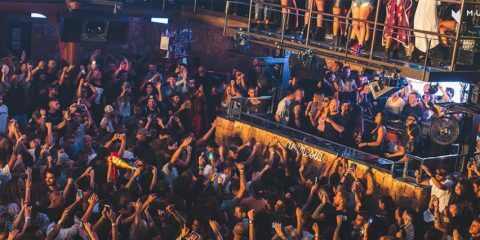 Sankeys Ibiza saw the likes of Eats Everything, Martin Buttrich, Nicole Moudaber, Stacey Pullen and Audiofly all play at the club. Also pulling out the stops was Unusual Suspects’ main resident, Frank Storm. In a global market where underground music is saturated, Background wants to forge the boundaries of electronic music through Ibiza. Background will showcase players from the global scene and house movements and will feature new talents from across the world and also well-known favourite dj’s, as selected in collaboration with Plasmic Records and The Rabbit Hole Records. This summer, Abode, the popular London party, is making it’s weekly debut onto Ibiza for 12 weeks at Sankeys Ibiza from 24 June on through 16 September. Abode prides itself on being built upon the talent’s of it’s residents; residents who at the forefront of the clubbing scene at home and around the globe. Since it’s launch within the walls of Studio 338, Abode’s parties have played host to the worlds most recognisable artists, pushing the seamless boundaries of electronic music and providing an experience unlike any other. At its heart, Glitterbox embodies the idea that the dancefloor should be the focus of a truly transformative night: something of a rarity in the DJ-idolising culture of the modern club. Every Friday throughout last season Space was transformed into a glittering, hedonistic playground, with extravagant live shows and the finest, most eclectic soundtrack found anywhere on the island truly setting the party apart, complimented by regular appearances by stand-out PAs and local DJs. 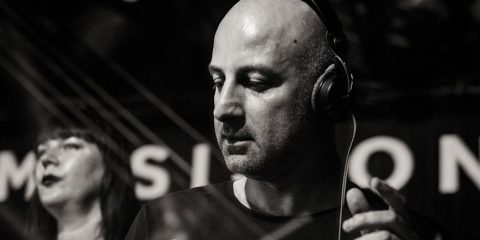 Music On is Marco Carola’s creative axis and this 2016 season has been designed as a weekly installation of techno and house music. 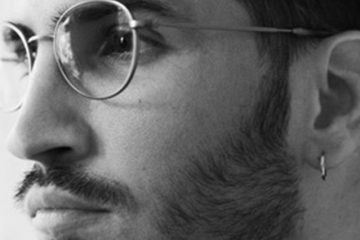 To add extra flavour to every single night, Marco will be accompanied by a diverse roster of artists including Apollonia, Joey Daniel, Leon, Miss Kittin, Neverdogs, Paco Osuna, Sam Paganini and Stacey Pullen, as well as special guests such as Dubfire, Green Velvet, Matthias Tanzmann, Paul Ritch and The Martinez Brothers, and young talents like Egbert and Hector Couto. Featuring a huge array of names across the house and techno spectrum, the 2016 ANTS schedule will be led by synonymous resident Andrea Oliva, as well as the White Isle’s most dark and seductive recruits. Previously unveiling a high-voltage opening night featuring Groove Armada, Kölsch – who appears throughout the season – and Eli & Fur, the wider bill sees house gangster DJ Sneak also on board, backed by the similarly stand-setting Sasha and contemporary class in Joris Voorn. Elrow is gearing up to beat the record of its past four seasons with an unparalleled line up that will brighten the nights of the white island every Saturday from June 4th to September 24th at Space Ibiza. And in case this wasn’t enough, elrowcity, a new worldwide party brand for elrow will be premiering at the club. Inspired by the “all night long” concept, it will take over the Space Terrace every week going back to the first electronic music sets of the ‘90s when one single DJ was in charge of the session for the whole night. Presented by the team behind Sankeys Sabados, the successful Ibiza Winter party that has been showcasing the best new female talent on the island. The Saturday night ritual commences on 7th May featuring its residents, including renowned house producer Josh Butler, Tribal favourite Jozef K, Ibiza native and winner of best newcomer at the DJ Awards Manu Gonzalez and hotly tipped newcomer Kellie Allen, the outstanding first winner of the Sankeys Sabados competition. 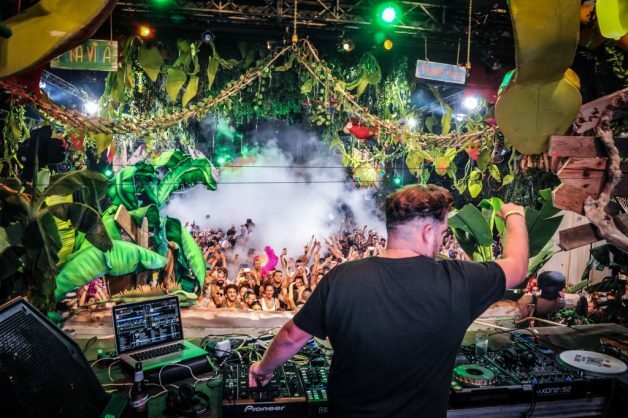 Following a hugely successful 2015 run, Guy Gerber just kicked off (22 May) a 22 week run of his famed RUMORS event at its new home, the Destino Pacha Ibiza Resort. Joining Guy across the season are a cast of some of dance icons: Sasha, Bob Moses, Lauren Lane, Matthew Dear, Nic Fanciulli, Ryan Crosson, Who, Bill Patrick and many more. The boss of the Hamburg label will play weekly dates from May 22nd’s big opening with Butch, right through to October 11th when he will play alone, all night long. This year the guests feature many world renowned stars, including Richie Hawtin for the first time at a +1 event, Michael Mayer and Dubfire, as well as +1 regulars like DJ Koze, Ame and Dixon, plus returning after last year Sven Väth and debutants like ANNA, Damian Lazarus and Black Coffee. Sunday in Ibiza is a rare day when the phenomenon of clubbing can be safely enjoyed carefree, with no notion of a heavy day at work that looms the following day. 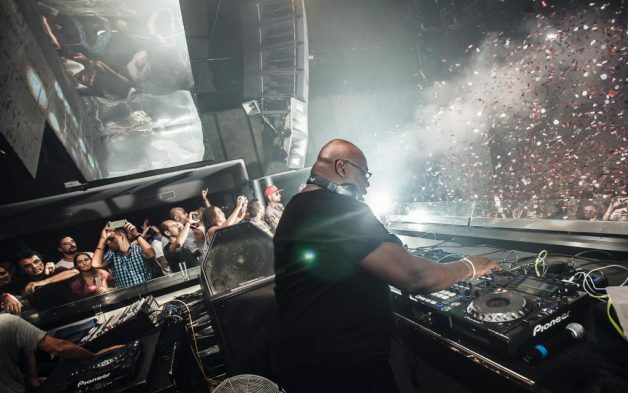 It is difficult to argue that the absolute gold standard of Sunday clubbing is at Space Ibiza – cultivated over 27 years, the club has managed to reset the weekend so that Sundays are THE day to share on the dancefloor through day and night with your closest friends.